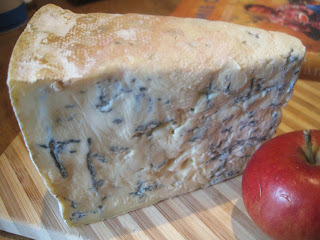 If you love Stilton, you will know Cropwell Bishop. The company has been hand making the so-called 'King of Cheeses', along with Shropshire Blue, at its Nottinghamshire creamery for three generations and is rightly hailed as one of the country's best Stilton makers. But for pretty much the first time in its history, Cropwell Bishop has ventured beyond its core range to launch a new squidgy blue cheese called Beauvale, which draws inspiration from Continentals such as Dolcelatte and Gorgonzola. It's a big move for such a traditional company, which is why owners Robin and Ben Skailes (they are cousins), have spent two years developing the creamy, soft blue cheese. Beauvale is made with pasteurised cows' milk, traditional rennet and a different strain of Penicillium roqueforti to the company's Stilton. Curds are hand-ladelled so it has a silky, rich texture that fills the mouth. It's the kind of cheese that is so soft you could literally eat it with a spoon. “To our knowledge there isn't a British cheese out there like this. Beauvale is a British cheese to rival Continental blues,” Robin Skailes told me. “It's an entry-level blue rather than the stronger Stilton and, without sounding sexist, we've found that it's very much a ladies' cheese when we've been doing tastings. Cheesemonger Paxton & Whitfield provided feedback during the development process and is currently the only place you can buy the cheese. The retailer has shops in London's Jermyn Street, Bath and Stratford Upon Avon, and is willing to deliver nationally - just phone your closest shop for details. Alternatively, Cropwell Bishop will also deliver. The cheese retails at around £18-£20 per kilo. Copyright Patrick McGuigan 2010-2015. No part of this website, including words or photos, can be reproduced without written permission.